Manipur on 15 March, 2017 got its first BJP ministry, with BSF soldier, turned journalist, turned politician Shri N. Biren Singh taking oath as the Chief Minister. 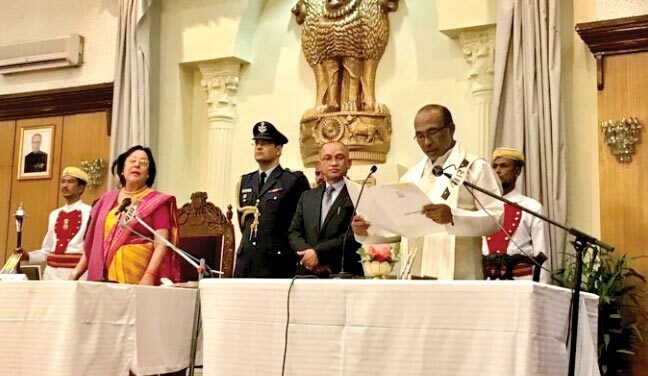 Governor Dr. Najma Heptullah administered the oath of office and secrecy to Shri Biren Singh and eight other ministers. Shri Y. Joykumar of the National People’s Party (NPP) was given the Deputy Chief Minister’s post. The other cabinet ministers are Shri Thongam Bishwajit, Shri Langpoklakpam Jayentakumar, Shri Karam Shyam, Shri L. Haokip, Shri L. Kiisi, Shri Thounaojam Shyamkumar and Shri L. Dikko. Shri Shyamkumar was originally elected on Trinamool Congress ticket. However, he backed Shri Biren Singh in front of the Governor. 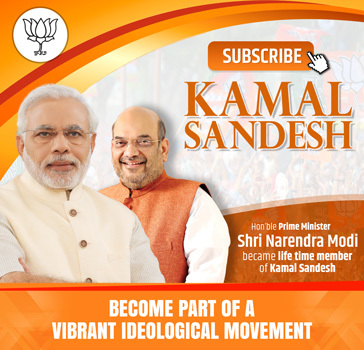 The Bharatiya Janata Party, the NPP, the Naga People’s Front, Trinamool Congress and the Lok Janshakti Party are represented in the government. BJP National President Shri Amit Shah and cabinet minister Shri M. Venkaaiah Naidu attended the event. Former Chief Minister Okram Ibobi Singh was one of the guests at the function. “We definitely have genuine numbers, we have allies who were a part of the BJP government in the state and we have four per more votes than the Congress. The BJP spokesperson said, “What is more important to form a government is the legislative majority which the party has by way of support from these parties.